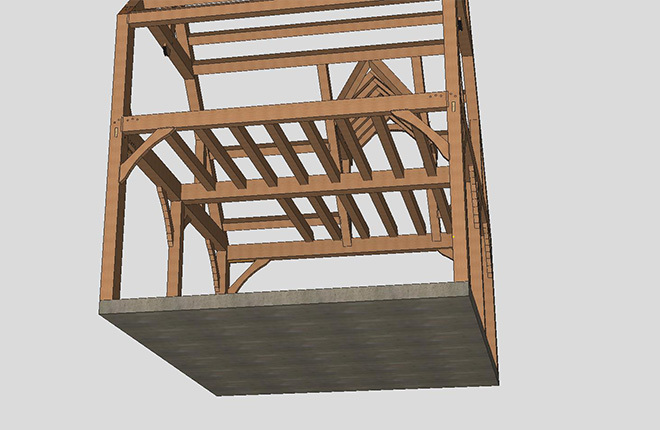 Quality post & beam structures. 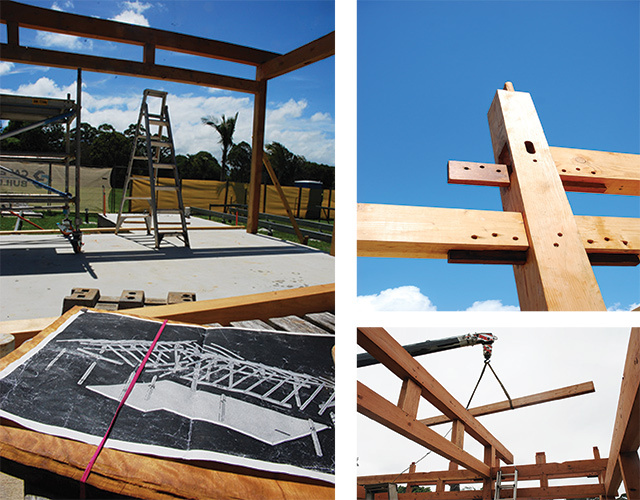 Byron Backyard Studios make traditional heavy timber frame and post & beam structures. 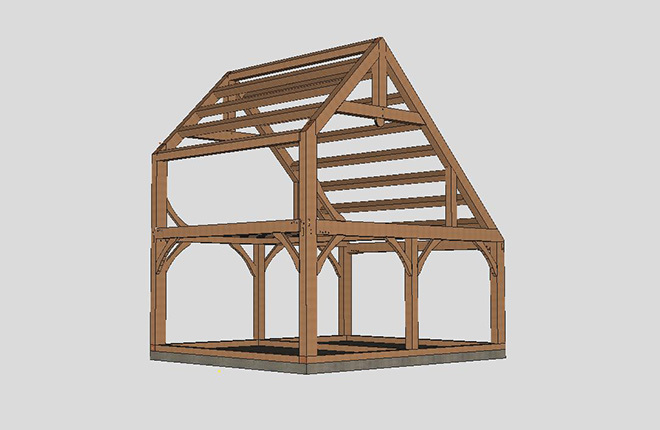 We fit timbers together with mortise & tenon joinery and fix in place with hardwood pegs, and steel (mostly hidden) where required. 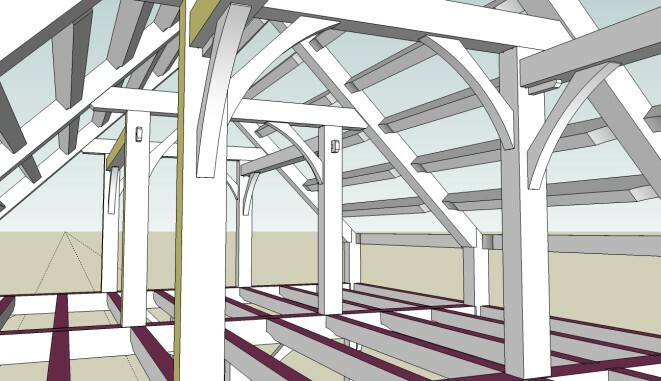 The timbers may be planed and fine-sanded, or prepared with a medium sand to retain some of the sawmill marks, to tell a part of the story of how the structure came to be. We use Cypress White Pine, for it’s strength, character woodgrain, forest-management source, availability and natural termite resistance. 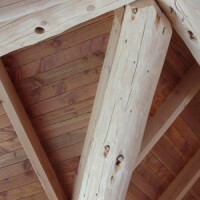 Imported Douglas-fir/Oregon can also be used, and indeed is preferable in certain frame designs. 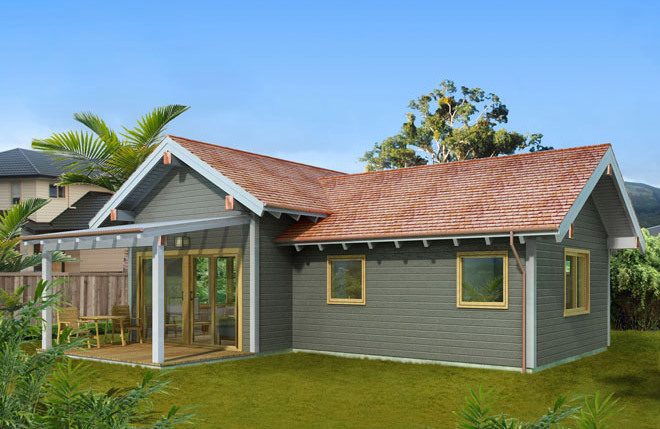 Our structures are made to a high standard, meet Australian Building Code, are engineer-approved and come with plans to subfloor for council submission. 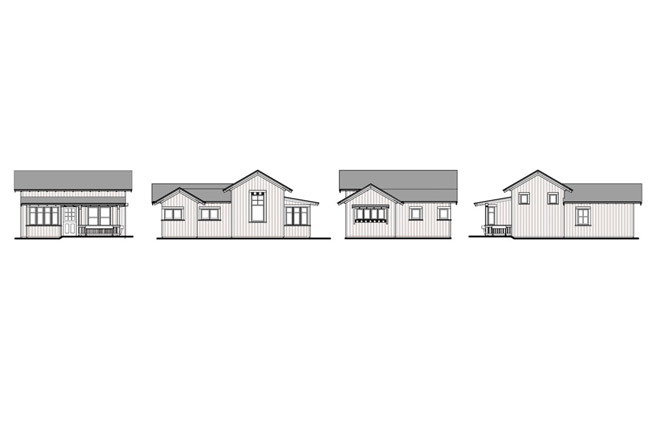 You may choose a frame-only option, or frame + complete envelope option. We are based near Byron Bay, and can supply anywhere there is a transport network to get the timbers to you. We make for those who see value in quality, who want to have a well-designed living or work space, made with skill and care. Our customers tend to be those who recognise the advantage of genuine architectural merit, who appreciate artisan-grade workmanship and, not least, for those who love timber. 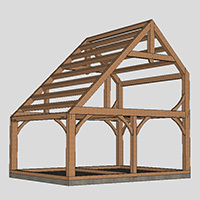 The saltbox frame is a classic design, popular in North American colonial days. 5 x 4m on the floor and 5 x 2.5 in the sleeping loft. 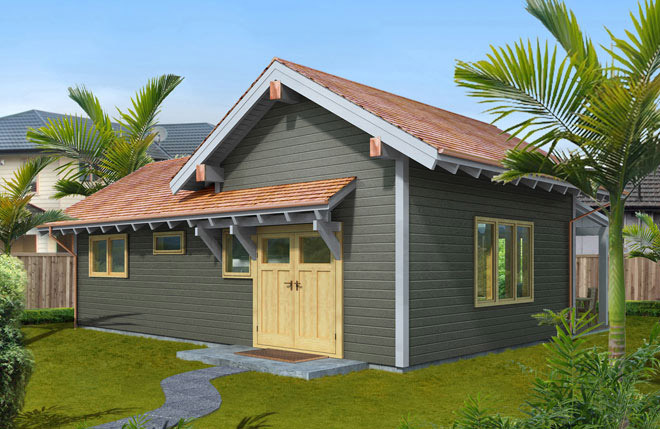 For minimal investment, you’ll have a great extra bedroom/sleep-out or office; add a porch roof for versatility. $16,000 excl. 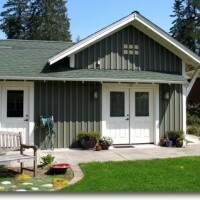 includes standard frame with loft. $19,000 excl. 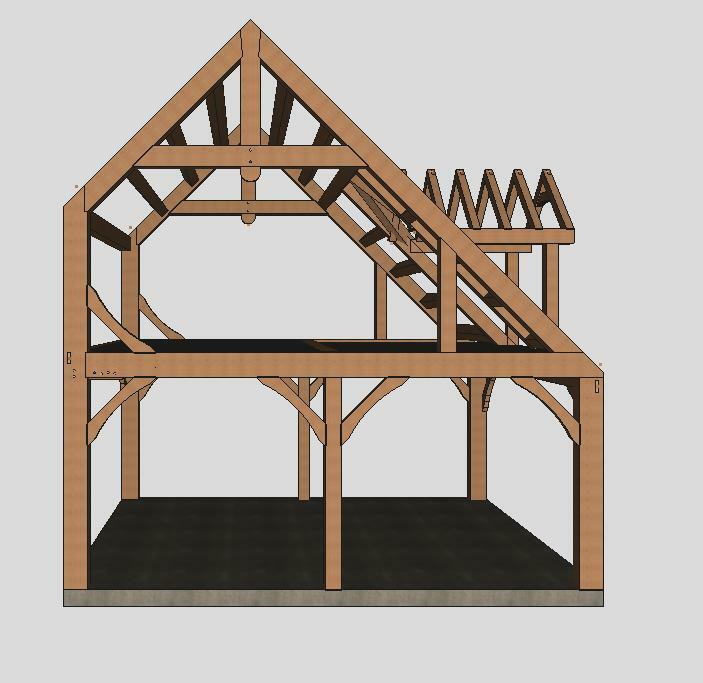 includes roof dormer, with larger loft. 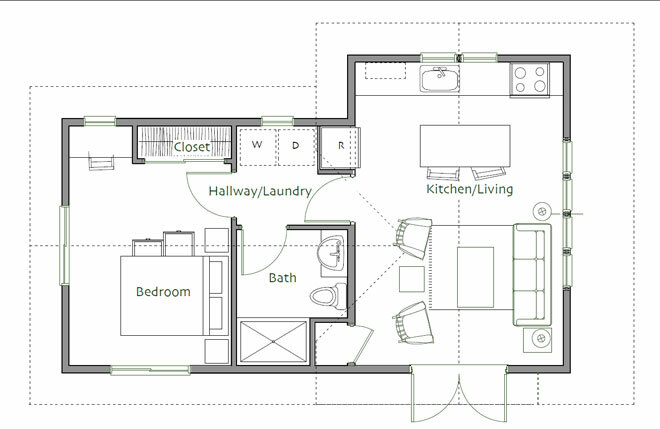 Estimate to live-in stage incl. 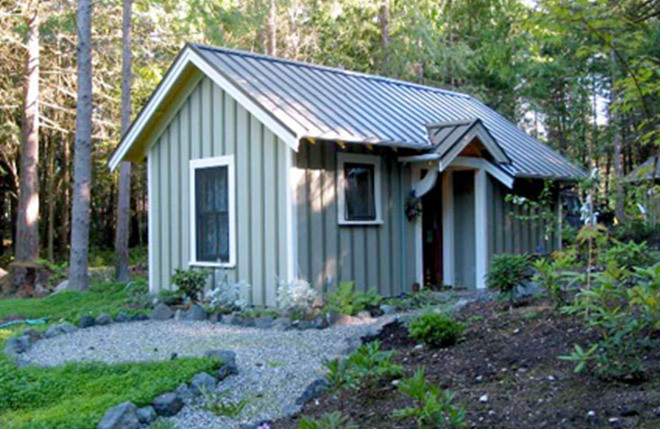 frame, foundation, roof, insulation, cladding, windows, doors, flooring, ceiling, kitchen, bathroom: $30,000 to $50,000, depending on standard. Smaller version 4 x 3.5m ground floor $13,000 excl. 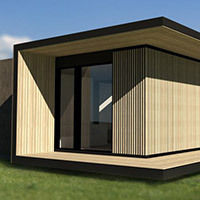 includes standard frame with 2 x 3.5m sleeping loft. Ideal sleepout/extra bedroom/office. Possible to be completed including frame on skid footings for $20,000 budget standard. 3m from ground to ridge peak can be made, otherwise 4.5m height. Frame price: $12,500 excl. 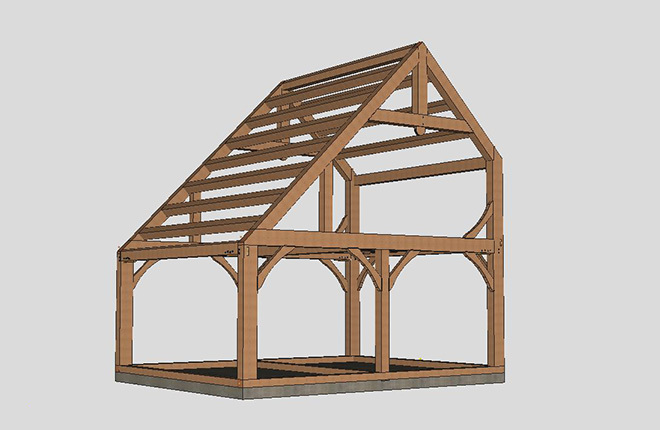 Includes post & beam frame, rafters and exterior stud wall in-fill timber,wooden pegs and splines, steel bolts & plates, plans to subfloor. BARGAIN. Price increase from October 1st 2018: $15,000 excl. 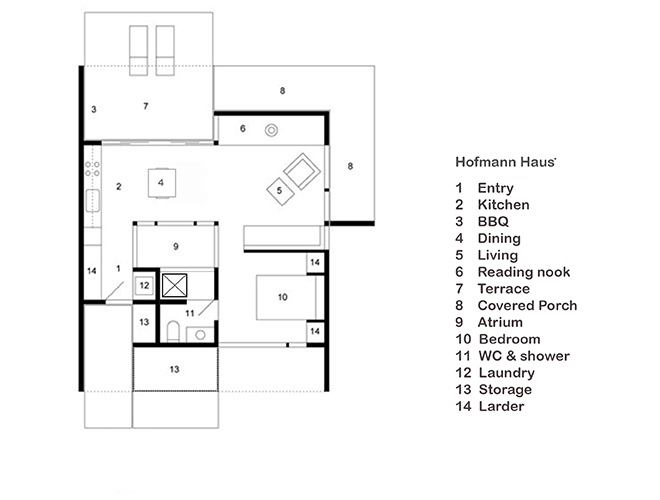 Estimate to live-in stage: $35,000, incl. bathroom & plumbing connection to existing house system*. 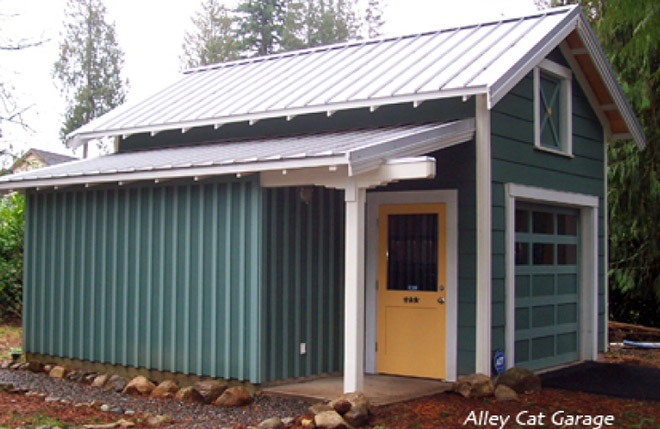 Be it a garage, a workshop or a studio/sleepout, the Alleycat is a fine & versatile design: three heavy timber Queen-post trusses at 35 degree pitch, purlins + ridge board, a mezzanine (or full upper floor option), 4.8m from floor to roof peak, and can be under 4.5m from ground to roof peak if needed as a council requirement e.g. as a ‘shed’ in Tasmania. 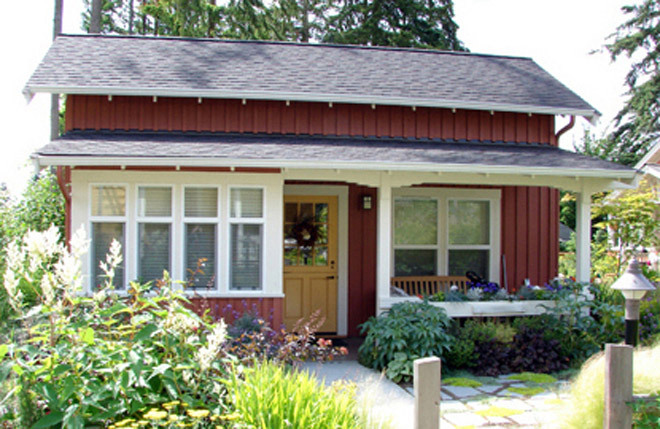 Storage lean-to can be on either side, or add another lean-to or verandah for more floorspace. Frame-only Price: $17,500 excl. ex yard. 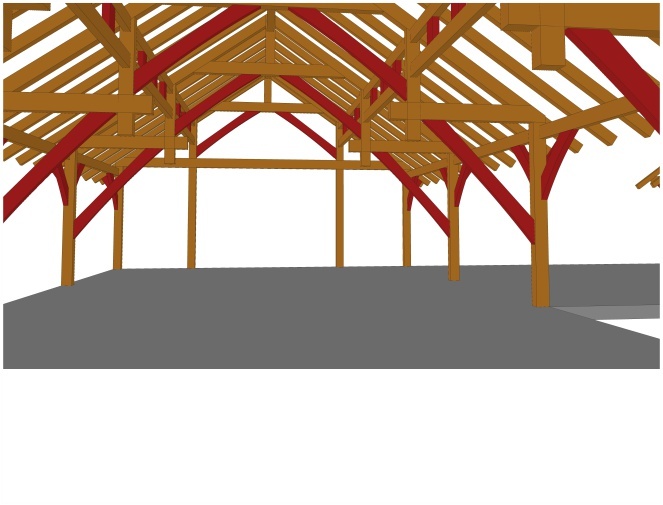 Includes post & beam frame, rafters, mezzanine floor joists, exterior stud wall in-fill timber (treated pine), 1 x lean-to, hardwood pegs, splines & angle braces, steel bolts & plates, plans and engineering to (but not including) subfloor. A good price for what you’re getting. With a moderate increase of investment, you can increase the height of the upper floor, add another bay to the frame (for staircase or larger living room), add another lean-to, and you’ll have a small home. 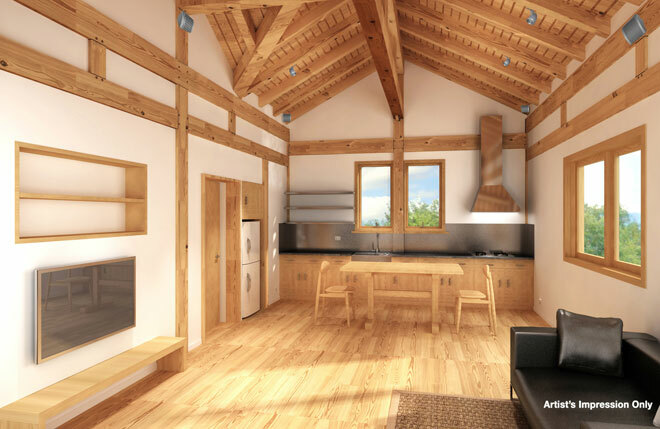 A fusion of Federation-style and Japanese timberwork, the Greenwood is a one-bedroom timber cabin which has two impressive ladder trusses holding-up the roof. Add a lean-to off one side and bring it up to 60 sqm if desired. 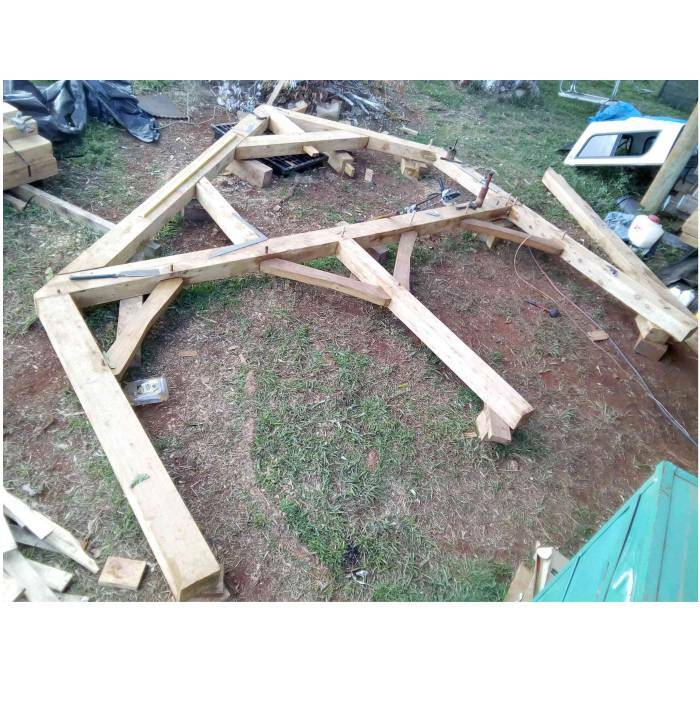 Frame Price: (54 sqm) $29,500 excl. in Cypress White Pine. $38,000 in Douglas Fir . 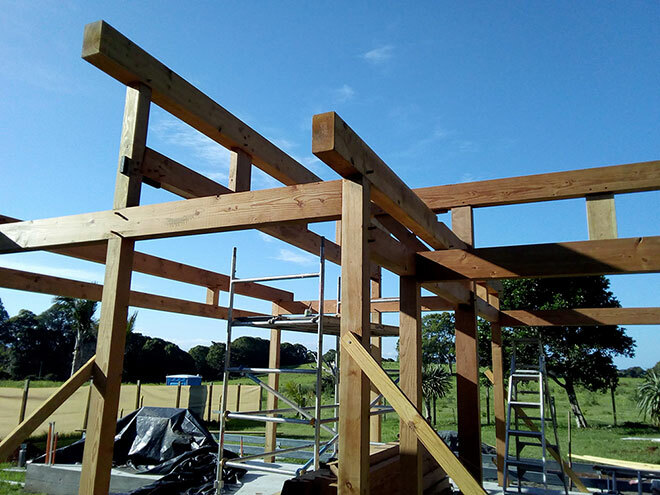 Includes post & beam frame, rafters, interior & exterior stud wall in-fill timber, wooden pegs and splines, steel bolts & plates, plans and engineering to subfloor. Estimate to live-in standard, mid-spec incl frame: 110k. Or owner-builder est: 80k. Lisette, let me count the ways! 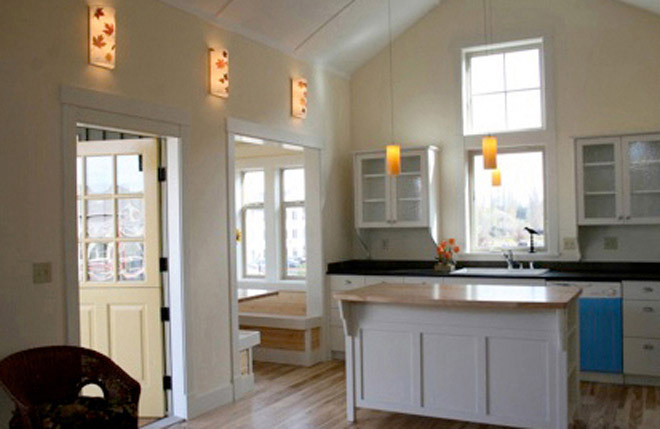 Fall in love with small footpint living and have Lisette waiting for you when you get home. Fifty-nine square metres of Goodfit design excellence for your section. 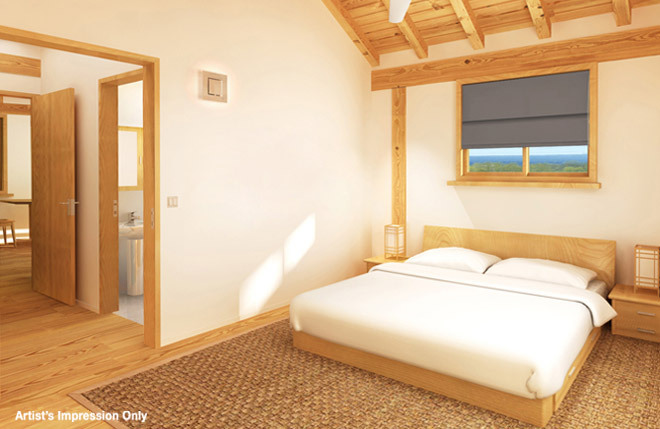 Double bedroom with walk-in wardrobe which doubles as the laundry, full bathroom, study, storage loft, kitchen with dining nook, living room with window seat, and cosy covered porch. 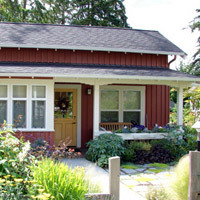 Lisette is a great long-term renter. Sixty square meters here, with a high vaulted ceiling great room oriented perpendicular to the living quarters for point of difference in aspect; this can be quite welcome in a cabin. 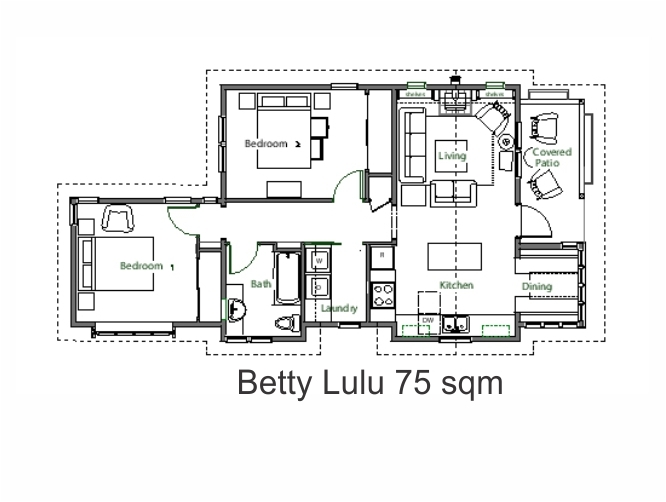 Betty-Lu is a sweet cabin design with everything you need. 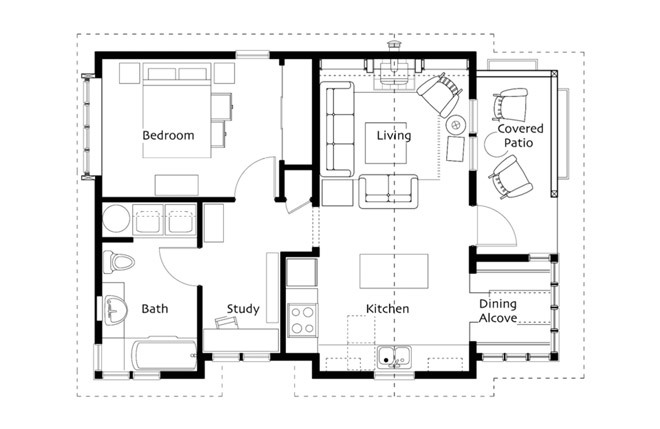 A 2-bedroom version is available in this series. 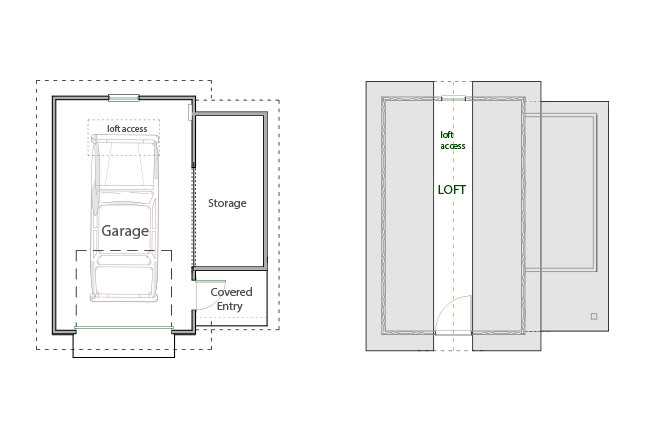 The second bedroom could be semi-detached as a sleep-out and classed as an outbuilding, thereby meeting council’s 60 sqm restriction on secondary dwellings. 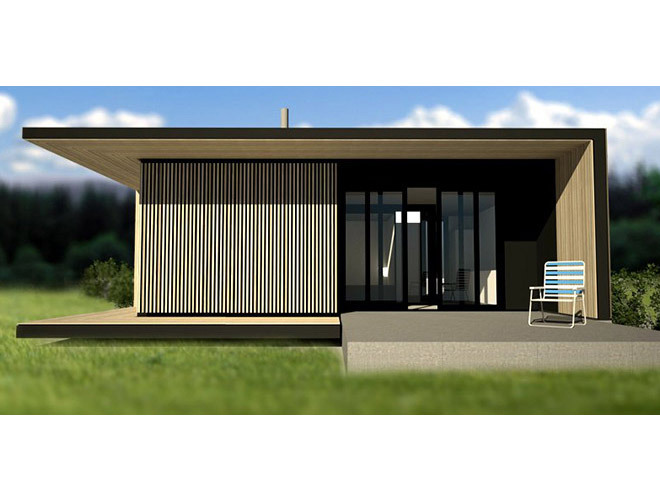 Fifty square meters of stunning modernist living space (excl entry, decks & atrium) plus considerable decking make Hofmann House an outstanding choice of cabin for your Byron bolthole (we can build it nigh anywhere else, too). Picture yourself in the tub looking through the glass atrium to the stars above, laying on the daybed reading a great book, sitting in front of the fire on a Winter’s night, lazing on the sundeck, staying in bed taking in the view through floor-to-ceiling glass doors, performing in the kitchen or serving party guests on the wrap-around balcony. 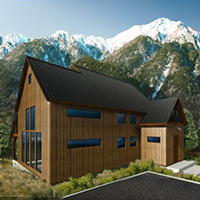 Hofmann House is available in timber kit* (frame, in-fill wall panels & truss-joists) from $45,000 excl. Estimate to live-in stage:140k high-spec. 100k mid to budget-spec. *Full-’turn-key’ package price coming soon. NB. 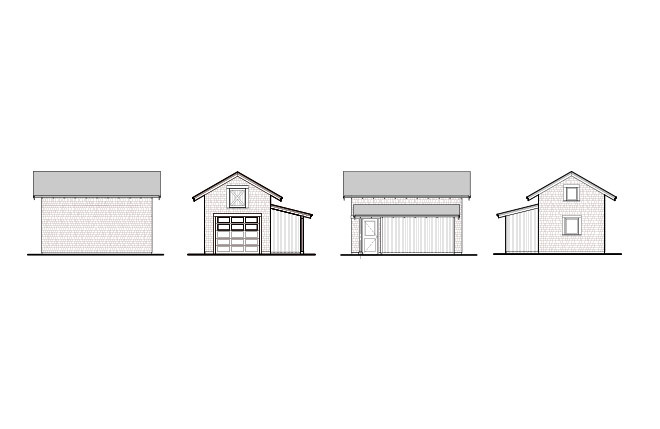 price includes intellectual property royalty payment to the architect, engineering and plans. A smaller dimension Hofmann possible eg. 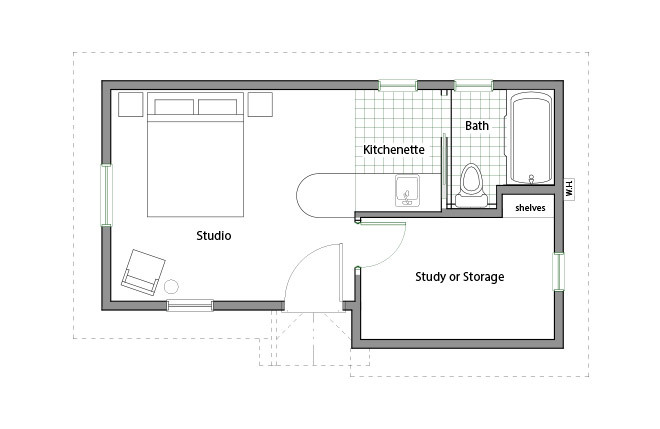 25 sqm ‘flat-roof’ studio, on request. We have the tools and experience to produce post and rail farm fencing. Either two or three rails, with mortised posts in which the rails are secured. Australian hardwood or H4 treated pine. 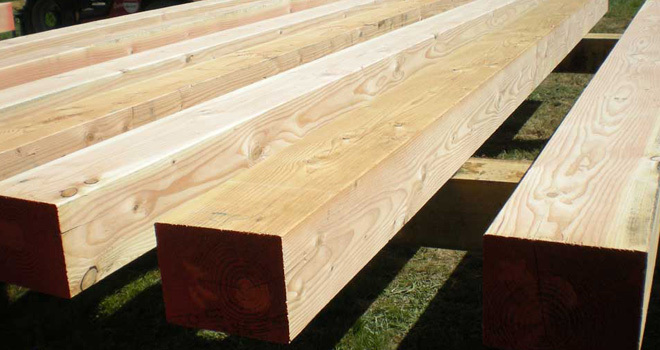 A hardwood two-rail fence 1.2m high available at $80/m, and three-rail at $90/m. Transport and installation in addition. Can service Northern NSW to Southern Queensland. 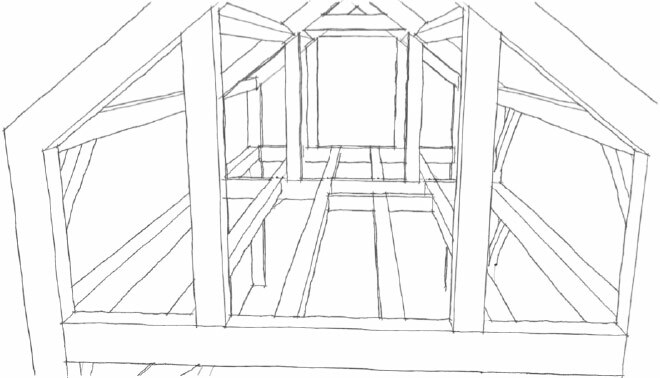 Take a log, run it through a sawmill four times and you have dimensional lumber; a large post or beam. 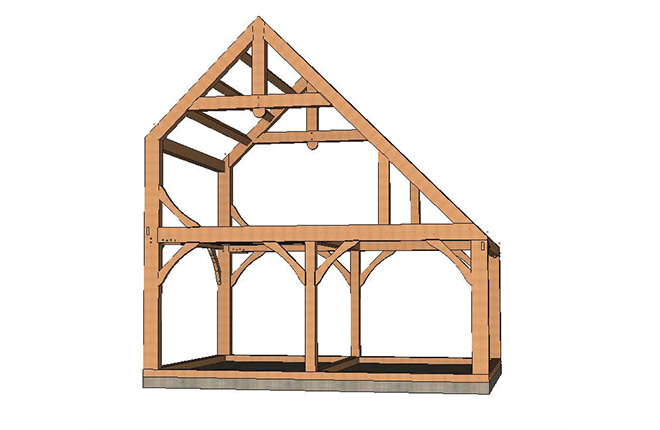 Calculate, measure, mark and cut precisely and join multiple posts and beams according to engineer-approved plans and you have a heavy timber frame, or post & beam structure. Such structures lend themselves to showcasing the timber of which they are made, and can form great rooms with high vaulted ceilings and large openings ideal for sub-tropical and temperate living. 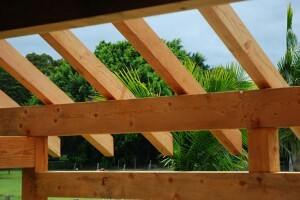 Milled post and beam structures are our specialty. Take a log, debark it, pressure clean it …and you have… a log. Collect a few more of these logs, calculate, measure, mark and cut, join them together with steel and chainsaw carpentry, and you have a log post & beam structure; a salute to and celebration of wood in its natural state. 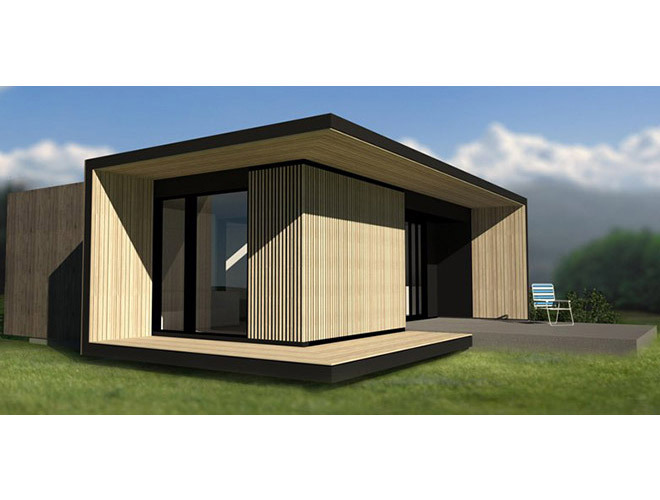 We are one also one of the very few operators in Australia who can produce hand-crafted full-scribe Scandinavian log cabins, appx 7 x 7m @ $98,000 excl. 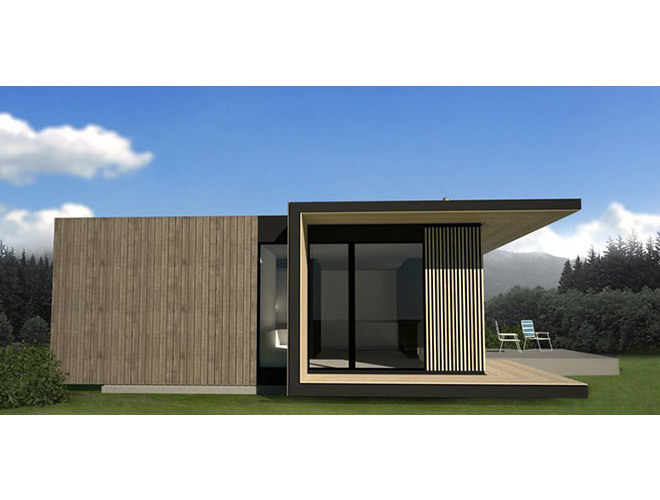 Byron Backyard Studios can make up to 36 sqm cabins, capable of greater floor area with stick-frame lean-to off side walls. 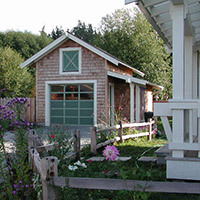 If you like the thought of a log post & beam cabin, we make them from termite resistant Cypress White Pine, and can make one for you. Crane access to property would be required for assembly, unless you own a team of oxen. 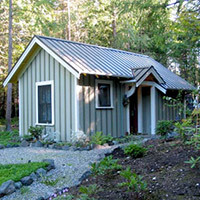 BBS offers production and supply of timber cabin kits, which are delivered unassembled. 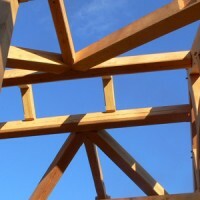 our focus is on making the superior timber frame. 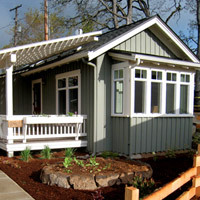 Unless otherwise arranged (and responsibility to acquire engineering certification thereby passes to the customer), all frame work is approved through a competent structural engineer prior to commencement of work; where customer-request production deadline necessitates this to start prior to engineer or local council approval, all effort will be made to design and machine to accepted engineering standard, but the risk is the customer’s. 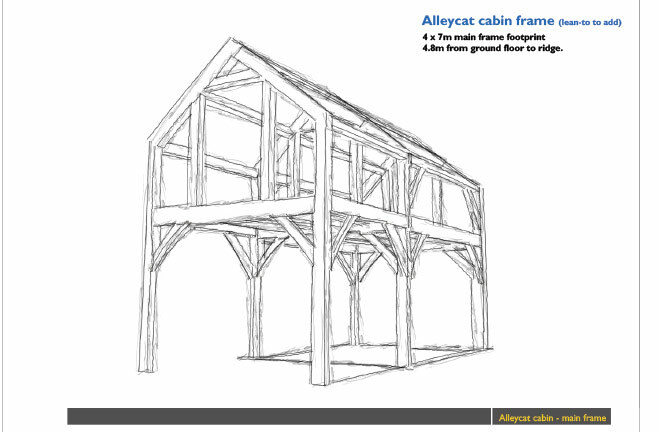 1) Either choose from one of the cabin kit frames on offer or draw a structure of your own. 2) Contact BBS to discuss your requirements. 3) Frame agreed-upon, contract signed and a deposit of 2/3 of the frame price is paid. 4) Your frame is produced and you will be kept updated on progress with email and pictures. 5) Plans and engineering excluding subfloor will be provided as standard, and should you choose: with subfloor on confirmation of footings. We can assist with the application to council for your D.A, C.C, BASIX and occupancy certificate where required. 6) Prior to being sent, the balance of the sale price to be paid in full. 7) If we are involved in the frame assembly, we’ll raise it on a voluntary free-of-charge basis (excluding charges such as crane, hoist, scaffolding, fence, hold-downs etc). If we are not involved with assembly, the frame will be designed to be assembled by competent people following a carefully-produced step-by-step procedure relevant to the customer’s particular frame. PO Box 1161 Byron Bay, NSW 2481. © 2019 Byron Backyard Studios All Rights Reserved.